1. inability to obtain sufficient sleep, esp. when chronic; difficulty in falling or staying asleep; sleeplessness. 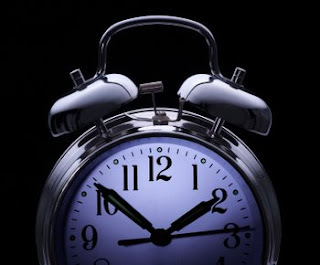 Insomnia is classified into two types based on how long it lasts and how often it occurs. You can suffer acute insomnia (short-term) or chronic insomnia (long term). It can also come and go, with periods of time when you do not have any sleep problems at all. Acute insomnia can last from one night to a few weeks. Chronic insomnia happens when you have sleep problems at least three nights a week for a month or longer. Try to go to sleep at the same time each night and get up at the same time each morning. Try not to take naps during the day because naps may make you less sleepy at night. Get regular exercise. Try not to exercise close to bedtime because it may stimulate you and make it hard to fall asleep. Experts suggest not exercising for at least three to four hours before the time you go to sleep. Make your bedroom comfortable. Be sure that it is dark, quiet, and not too warm or too cold. If light is a problem, try a sleeping mask. If noise is a problem, try earplugs, a fan, or a "white noise" machine to cover up the sounds. I am starting to sink into another bout of chronic insomnia. For the past two weeks I have only been able to get approximately two hours of sleep per night. When you have insomnia you are never really asleep and you are never really awake. It is hard to concentrate and be motivated to get things done during the day. Thankfully I work from home, so when insomnia drops the hammer on me it is a little easier to cope. I did not always work from home, I too used to have a real job and work in the real world, and let me tell you it was very difficult to trudge through the day running at thirty percent efficiency. I have a self-diagnosed case of depression and anxiety, which I think is the main cause of my insomnia. When the black shroud of depression begins to creep over me I try to make busy. I will clean my apartment. I will read a book. I will write a short story. I will go for an aimless drive in my car. I will do anything to distract myself from the feelings brought on by depression. Anything to avoid the haunting of my memories. That is why I decided to create this blog. I am on an ever pursuit of distraction. I am constantly Chasing Distractions. Some people have had some luck fighting insomnia with music. Here's some insomnia music and a version with a soothing guided imagery voice. Thanks for the links - the music is actually quite soothing and has somewhat helped in my dire times of wakefulness. "It is hard to concentrate and be motivated to get things done during the day. ... Anything to avoid the haunting of my memories." So how do you do it? How do you make yourself get out of bed? How do you make yourself block those ghosts? How do you keep them from creeping back in? A good motto to try to live by is 'Never give up'. If anything, it at least helps you to get out of bed in the morning. As for the haunting memories, well that is what this blog is all about for me. Chasing distractions, keeping yourself occupied, because it is the quiet lonely times when the ghosts start creeping back.